However, it breaks one of the fundamental ideas behind REST: one resource, one URI. If you version your URIs, you’re providing multiple URIs to the same resource. 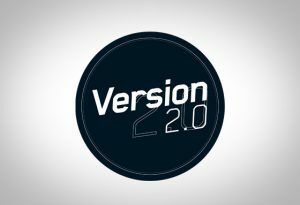 Additionally, if you don’t plan for versioning from the outset, it means that the first version of your API does not contain versioning information – but every subsequent version will. Many REST advocates prefer media type versioning as it solves the “one resource, one URI” problem cleanly, and allows adding versioning support after-the-fact. The primary argument against it is the fact that the version is not visible when looking at the URI. If you’re offering different versions of your API, likely the code will differ somewhat, too, regardless of whether or not it accesses the same data source. How do you manage running multiple, parallel versions of the code behind the API? You can solves this by using versioned namespaces. Each time you create a new version of your API, all code is cloned into a new PHP namespace that includes the API version. Best practice is implementing versioning immediately upon creation of an API, via both URI and media type, ensuring future expandability of your API.